Nomana. Magda Moskwa accompanies a retrospective exhibition in the Muzeum Sztuki in Łódź presented in 2015. The oeuvre of this remarkably consistent and original painter is explored by Maria Morzuch – curator of the exhibition and Jarosław Lubiak – curator, contemporary art researcher, Deputy Director at the Warsaw Centre for Contemporary Art Ujazdowski Castle (CSW). The album section of the publication presents a rich illustrating material that documents the exhibition in ms² and the major works in the two decades of the artist’s creative production. Magda Moskwa is the graduate of the State Higher School of Visual Arts (PWSSP) (currently the Strzemiński Academy of Fine Arts - ASP) in Łódź. She consistently uses the mysterious word of “Nomana” in titles of all of her solo exhibitions. Her famous debut took place in Warsaw during the cult exhibition The Most Furious Paint Brushes in Królikarnia. Since then she has taken part in many exhibitions, such as: Biennale Sztuki Łódzkiej[the Łódź Biennale], Kobieta o Kobiecie [A Woman about a Woman],Brudna Woda [Dirty Water], Piękna Pogoda [Beautiful Weather], Co widać. Stan sztuki aktualnej, [As You Can See. Polish Art Today] andCorpus. 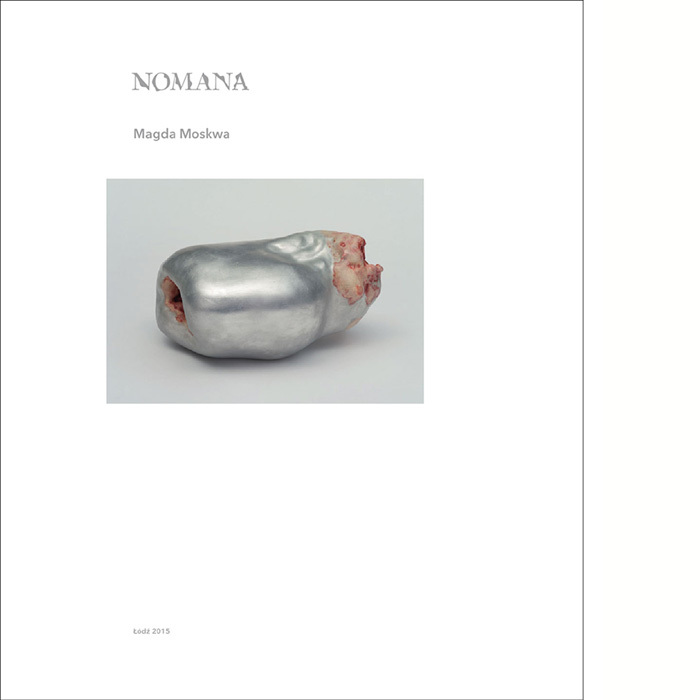 Publication accompanying the exhibition: „Magda Moskwa.Nomana.” which took place at Muzeum Sztuki in Łódź (6.03-16.05.2015).